The exhibition in World Trade Center, called as WOFEX Trade is dedicated for trade visitors while the gathering SMX Convention Center, which is tagged as WOFEX Marketplace, wherein the country's biggest selling and order taking event of the year will happen. 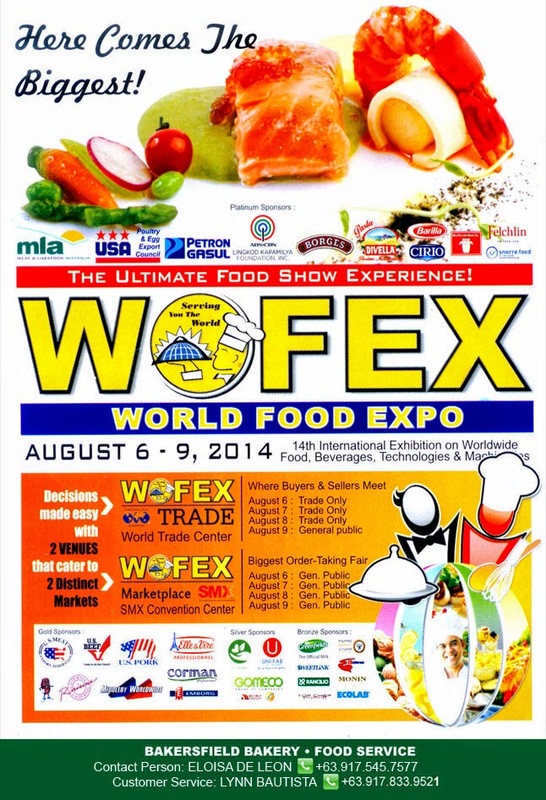 In addition, WOFEX University will provide a 2 day seminar series about the HoReCa (Hotel, Restaurant & Catering) latest trends and on careers in the F&B Industry in SMX Convention Center. 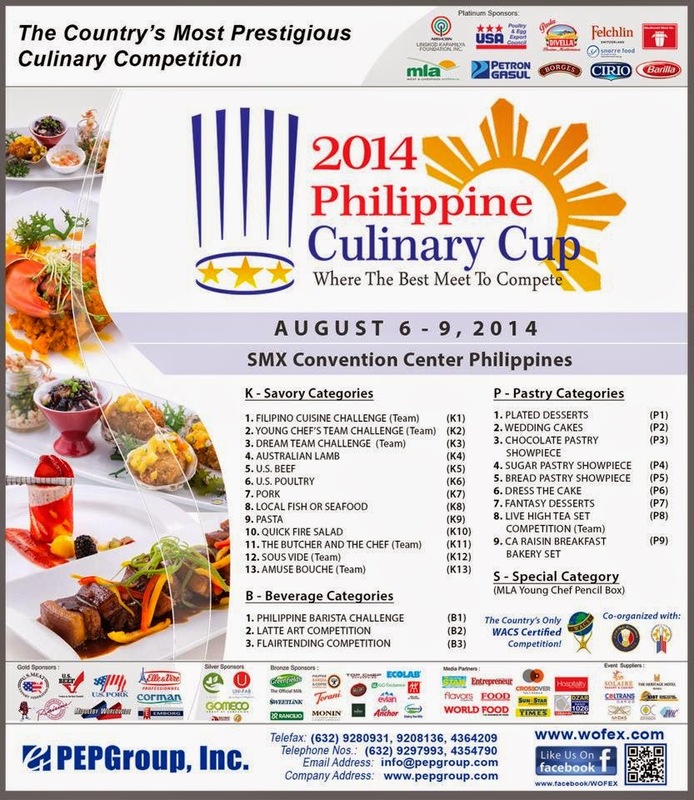 Moreover, you'll witness the country's most prestigious culinary competition in WOFEX, the 2014 Philippine Culinary Cup known where the best culinary experts meet to compete!